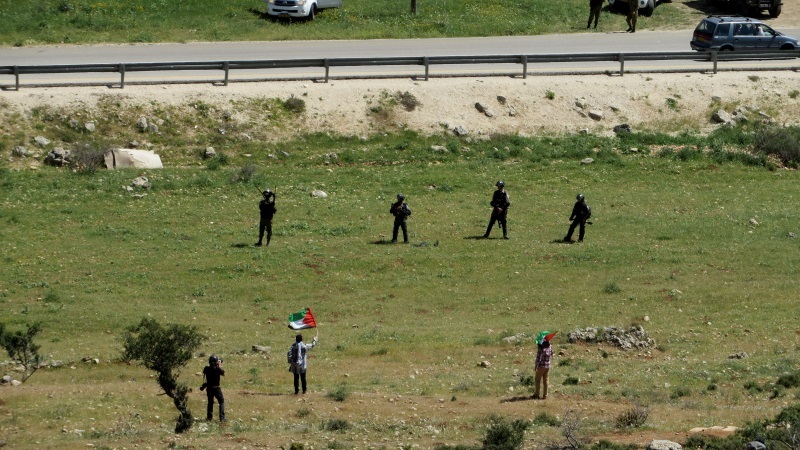 Today as every Friday, the tiny village of Nabi Salih organised a protest against the theft of the village’s water spring, and against the Israeli occupation of Palestine. Today’s demonstration was dedicated to all Palestinian prisoners in Israeli jails (yesterday, 17 April, was Palestinian Prisoners’ Day). 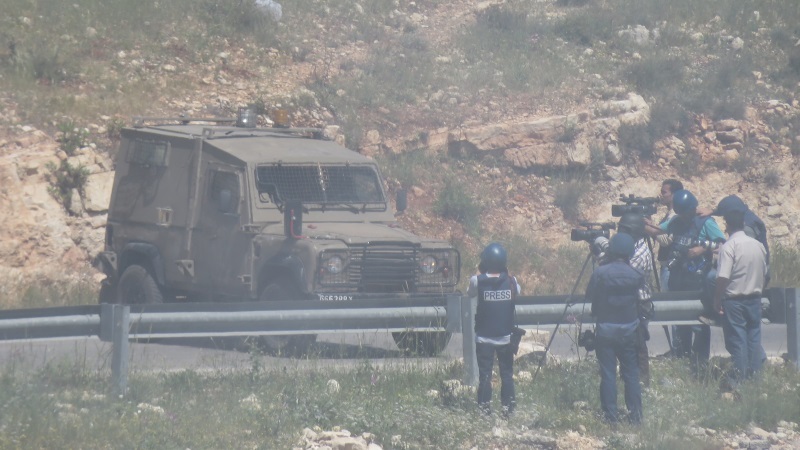 Faced with the threat of unarmed children waiving Palestinian flags and holding posters of political prisoners, the Israeli army attacked the non-violent protesters with lots of tear gas; journalists (clearly identified as such) were treated with sound bombs thrown directly at them. Illegal Israeli settler colonists, however, were protected by the occupation army at the spring they stole from the residents of Nabi Salih. The wicked logic of a military colonial occupation regime. But Nabi Salih is not giving in to such bullying and harassment. Last Monday, the villagers managed to peacefully break an Israeli checkpoint at the entrance to Nabi Salih and end a 3-day closure of their village. 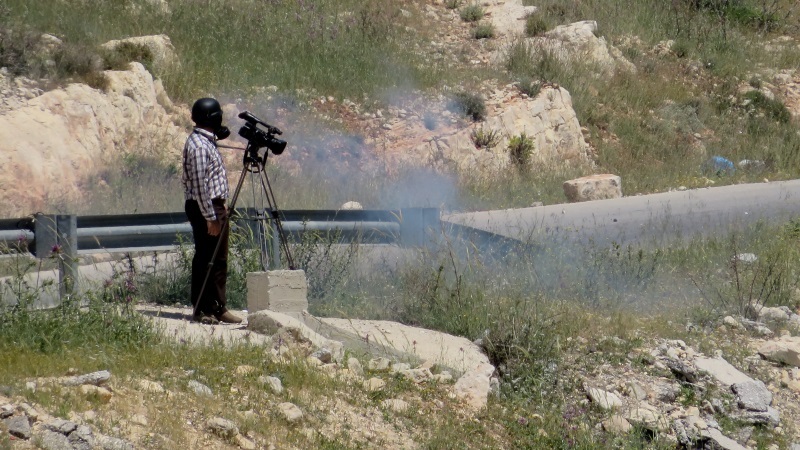 Follow @TamimiPress on twitter for updates on Resistance in Nabi Salih. 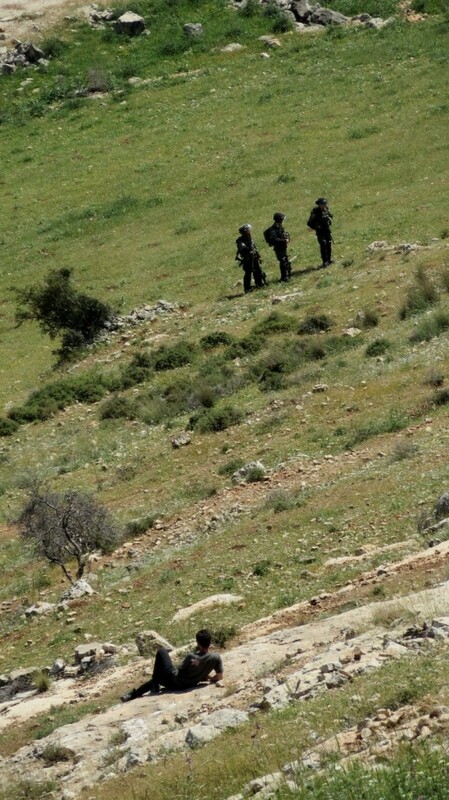 Heavily armed Israeli soldiers attack unarmed civilians in the valley between Nabi Salih and the illegal colony of Halamish that stole Nabi Salih’s land. The Israeli army then attack the media. Here, journalists are stuck in a tear gas cloud while doing their job of reporting such violent suppression of a peaceful demonstration. The soldiers were shooting sound bombs and tear gas canisters directly at the Press. Documenting violent suppression of non-violent protest. 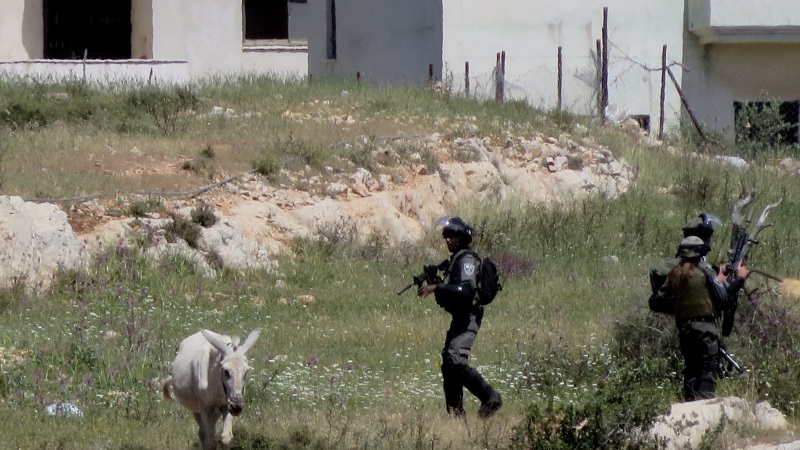 A donkey was also under attack. 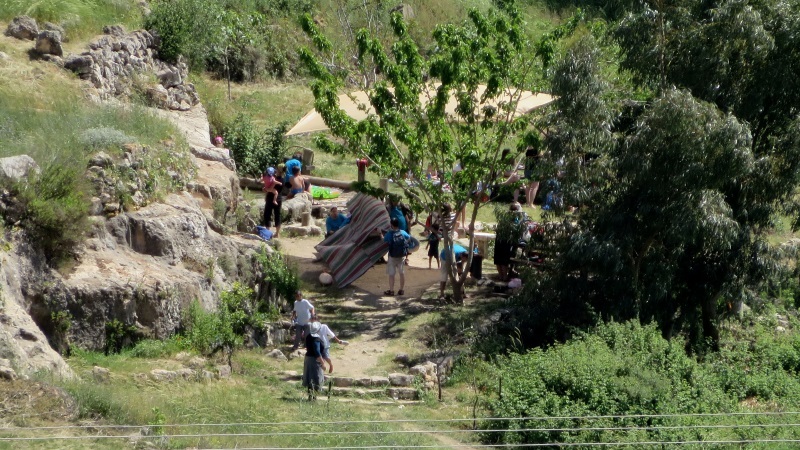 Illegal settler colonists having picnics at the water spring stolen from the village of Nabi Salih. 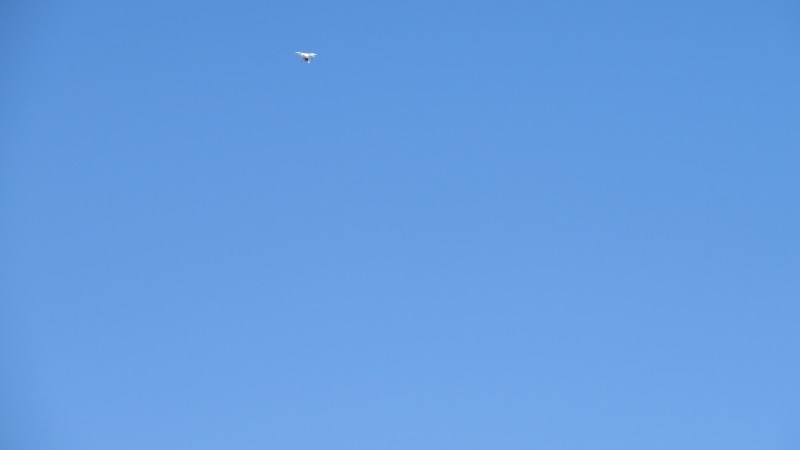 Illegal settler colonists sent a drone with a camera attached to fly over peaceful protesters.